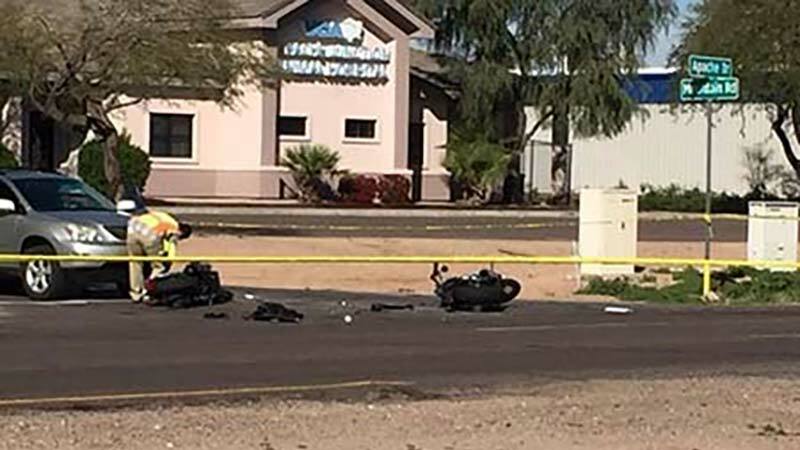 Mesa, Arizona—Two motorcycles collided with a van on Saturday afternoon in the southeast Valley between the cities of Mesa and Apache Junction. The accident occurred near Signal Butte Road and Apache Trail as the van crossed Main Street. One rider was transported to a nearby hospital where he later died of head injuries. The other rider’s condition is unknown. Maricopa County Sheriff's Office accident investigators have not released the names of the victims. No additional information is yet available. We extend our condolences to the family and friends of the victim who died, and we wish the injured rider a swift and complete recovery.